When looking for the perfect solution to maximize the efficiency of your flat commercial or residential roof, there is one solution that roofers have trusted and recommended for nearly 3 decades. TPO membranes are that solution. In short, a TPO roofing membrane is made from a chemical composition of rubber, ethylene, and propylene. The finishing coating includes filler materials like talc, carbon filler, and fiberglass to reinforce the foundation. They’ve grown quickly in popularity and demand for several reasons, and the following will highlight the main benefits of choosing a TPO membrane for your South Florida roof. TPO roofs are considered a Cool Roof and are Energy Star rated. Available in sun-reflective colors like light grey and white, they unleash energy-efficient potential. They’re known to resist ozone, ultraviolet, and chemical exposure. This reduces the energy waste that a hot roof can cause on HVAC systems, which eliminates the need for air conditioning RTU’s to work harder during hot, sunlit days. Also, TPO polymer contains zero hazardous components such as chlorine-containing ingredients. Most of all, TPO membranes are fully recyclable, allowing manufacturers to reuse the material for generations. For obvious reasons listed above, TPO membrane roofs are extremely cost-effective. Not only do they reduce energy consumption, HVAC usage, and damage potential, they also are long-term solutions to roofing problems. Your chances of having leaks from rain are minimal, and the durability they provide against Florida’s hurricane-prone conditions are virtually unparalleled. 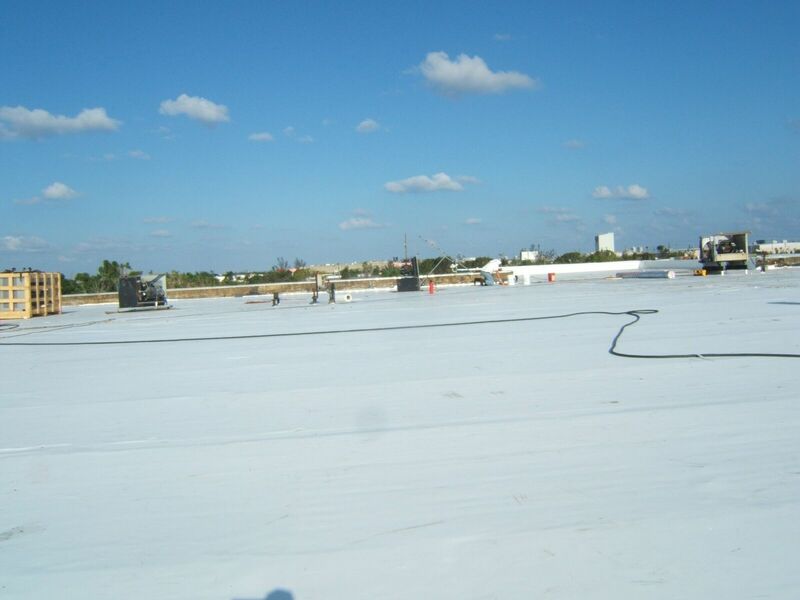 So, if you’re looking for a roof that will last for years and provide protection against the harsh South Florida weather, look no further than a TPO membrane on your commercial or residential roof. Contact our roofing specialists today for a free quote!